The popular 1972 (white) State Grange Cookbook is no longer available. The State Grange has announced there are no plans to re-print this edition. Granges and Grange members have long cherished their reputation for good cooking. Most Grangers are rural or small town residents with access to fresh wholesome ingredients. Many carry on the tradition of preparing food for their family's consumption along with sharing their time, skills and ingredients to prepare many community meals and fund raising dinners. It's not surprising, then, that cookbooks have been put together by Grangers for decades to share recipes and household hints. What may be surprising is the continuing popularity of these Grange cookbooks and that demand has encouraged the publication of many different editions. Unfortunately, many of the cookbook editions printed over the years are no longer available for purchase. 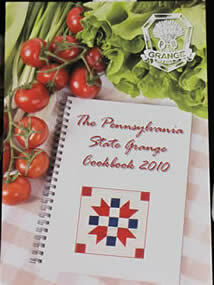 The most recent State Grange Cookbook was released in October 2010 and is on its way to becoming another best seller. Perry Valley Grange now has that new cookbook, along with some previous editions, available for sale. You may purchase them at any activity at the Grange Hall or by calling Douglas Bonsall at 717-921-1957. The cost varies by book and is shown below along with a description of each book. 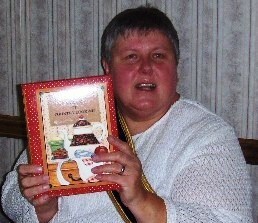 Please add $4 per book to the price to cover shipping costs for any books that must be mailed. Stews, This ‘n That and Vegetables. Grange members and friends from across the national submitted the tasty recipes in this favorite. "What's Cooking in the Grange” features nearly 400 recipes, including one unique to each state. 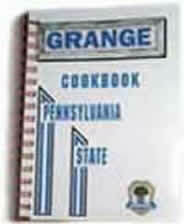 Like the Grange cookbooks before it, this book was compiled of recipes submitted by Grangers from across the Keystone State. It also contains many handy tables of measurements and substitutions, all of which can be invaluable, especially to kitchen novices. This book contains over 1500 recipes in its 480 pages. This was the State Grange's second published cookbook and includes more than 1000 recipes. (The first cookbook project took place in the 1920's to raise funds for the construction of a dormitory for women on the campus of the Pennsylvania State University.) The 250-page 1950 version remains popular and reprints are available.